A performance fleece jacket just for those cold nights. 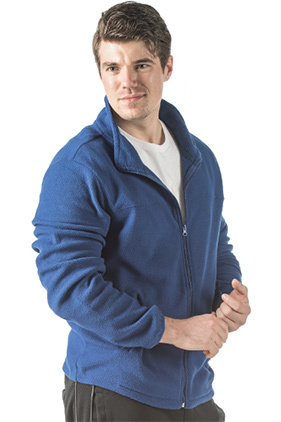 100% polyester, 6 ounce lightweight fleece full zip jacket. Anti-pill. High collar, fabric zipper pull, & stretch binding at cuffs. Front welt pockets & open hem. Machine washable.